The future of the periodical seems very much secure within the monumental walls of the New York Public Library, a grand space with carved wood trim and oil paintings of iconic publishing houses like Hearst, McGraw Hill and Harper’s. But the evening is not about the past or the monuments to publishers of the past. Instead, the night is about the future. 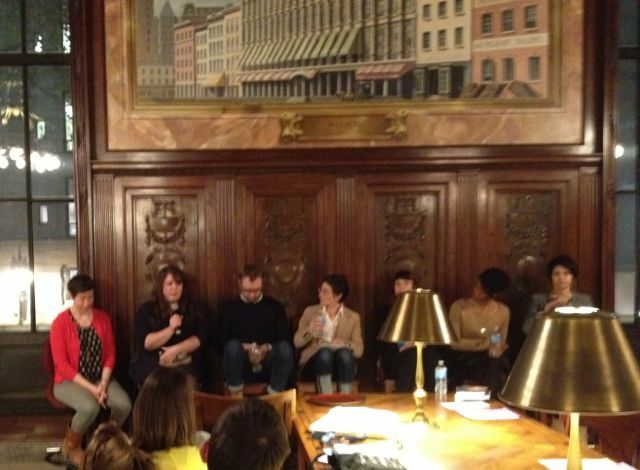 The editors of three journals at the vanguard of the New York City literary scene are joined by contributors to their journals to discuss the origins and future of the magazines. Bodega is a little more than a year old. It publishes online monthly, a selection of poetry and short prose. Also a little more than a year old, The Atlas Review publishes a hardcopy journal twice a year and holds monthly readings. The oldest of the journals, No, Dear has been around six years and recently released the twelfth issue. Camille Rankine, a contributor to The Atlas Review issue two, read first. She reads from an iPad, as if living in a future predicted by Gene Roddenberry, yet her concerns are far more grounded in the present. She’s the daughter of Jamaican immigrants, she explains, and she spends time thinking about the place of immigrants in the world today. Bodega contributor Sasha Fletcher read poems from his manuscript in progress. He offers a hectic, fast paced enthusiasm eagerly running through his lines. He is funny. Julie Guez followed. A contributor to No, Dear, she read, among others, “Epithalamium,” a poem she describes as a queer wedding song that includes mashup phrases from the Defense of Marriage Act and the New York State Marriage Equality law. Editors Cat Richardson of Bodega, Emily Brandt and Alex Cuff of No, Dear, and Natalie Eilbert of The Atlas Review join the readers on stage to begin the discussion. Julie Buntin of the Council of Literary Magazines and Presses presides over the discussion. She begins by asking each of the editors to describe their journal’s origin. None of the founders seemed to have enough time to read through all the massive tomes of literary work or even the weekly magazines like Harper’s or The New Yorker, Richardson explained. The aim was to capture the contemporary literary scene and distill it down into something consumable in about an hour. The founders wanted a sense of what their peers had been up to. Publishing online provided that kind of easy access. No Dear began in a similar way, six years earlier, Emily Brandt said. She and the other founders had operated an informal workshop for about five years until finally they decided to package up their work into what became the first issue. Then came issue two. And then three. And suddenly they were soliciting submissions, and the journal kept going and continued to grow. Brandt admits that their perception of poetry had to evolve and continues to evolve still. The magazine is meant as a showcase of the New York City poetry scene, but that means changing expectations of poetry. Brandt says only two of the original four editors still work on the magazine. She and Alex Cuff have begun working with a guest editor on each issue. The guest editor is a former contributor to the journal, but that still means there is a new point of view each time. Their goal with each issue of No, Dear is fusing mediums of expression. For them, its important that journal is also an art object. Alex Cuff explains that they are “trying to recognize that mediums don’t exist in a vacuum.” Each copy is printed with a letterpress. But ultimately it comes down to community. They wanted to foster the New York City poetry scene. The focus is on New York City poets and tapping into the pulse of the scene and the perception of what that means. Because the contributors are local, they can come together at the launch of each issue. No Dear includes only ten to fifteen poems — a length that could be read on a subway ride. Eilbert wanted to know more about this phenomenon. She wanted to understand this diversity of voices. As a result, The Atlas Review relies on a strictly anonymous system to avoid the influence of a famous name or the location. The result has meant bringing in a broad spectrum of writers. A lot of them are New Yorkers and Brooklynites, but there are also those that outsiders from the scene, like the southern mother of three children. The journal is only printed twice a year, but to keep The Atlas Review in the public eye, Eilbert holds a monthly reading series to keep people thinking about it. “So hopefully people are dreaming of The Atlas Review all the time,” she says. If there is any doubt about the future of print, there is none among the editors. All three say their journals are looking to expand their printed offerings. Eilbert says The Atlas Review will soon be getting into chapbooks, though issue three is the primary concern at the moment. Once that is printed, the journal will look into chapbook submissions. The important thing is tactile feeling of the printed products. Although Bodega is online only at the moment, printed chapbooks could likely be in their future. Richardson says that “It feels like we’re still learning to walk;” the editors wanted to create a safe space first. Once that happens, they can look to other projects. But for her, its not a matter of the printed world versus the digital world. They are both supportive of the other, she says. Ultimately, all three publications are similar, Emily Brandt claims, even though one is only online, one is printed by a commercial press, and the third is handmade in the DIY style. They are all capturing the voice of the zeitgeist. 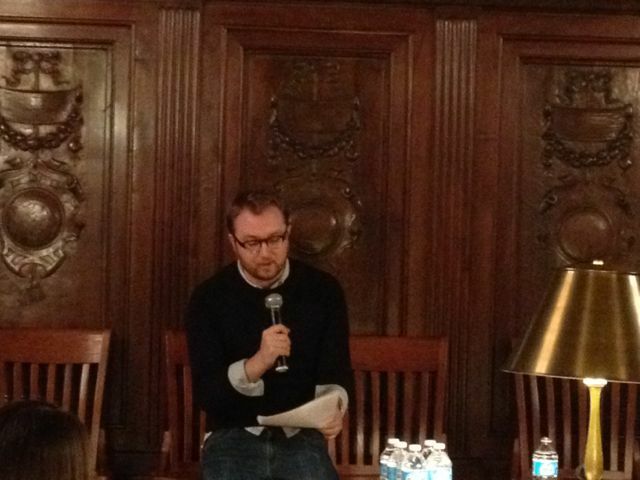 “I sort of think of publications as a way [writers] find each other,” Richardson says. The only way to find out what everyone else is doing is to publish and read each other. “There are these moods in the world,” she adds, explaining that there is an uncanny sense when submissions come in from across the country and yet all seem to deal with or focus on similar issues. If there was ever a concern over whether too many journals proliferate, Natalie Eilbert doesn’t share the sentiment. She sees thousands of talented people all over the place. New journals offer another outlet for them. “Each journal functions in their own microcosm of ideas and thoughts,” she says. Julia Guez adds that the proliferation of presses creates a space for the many varied voices. Women, she points out, still have trouble having their voices heard. Brandt takes a more Marxist approach to the problem. A lof of this stands outside of capitalism, she explains, there is something nice about people working towards and giving their energy over to something that doesn’t make money. 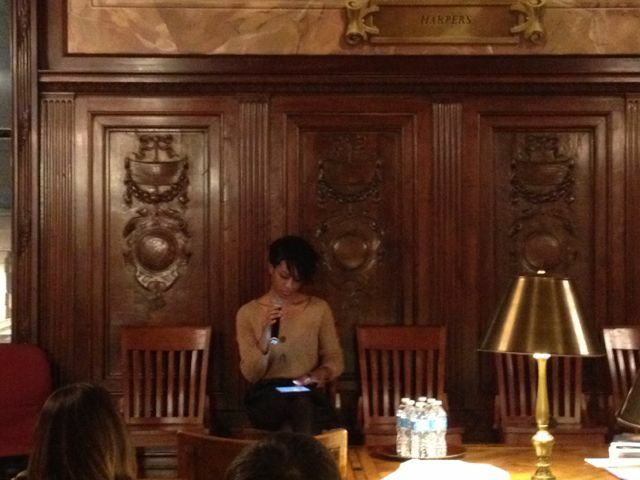 “As a poet, its hard to be in a capitalist society,” Camille Rankine adds, because people don’t understand the value of something outside of the framework of financial value. Publication in these kinds of journals offers validation outside of a financial side because it means someone else is reading the writing.